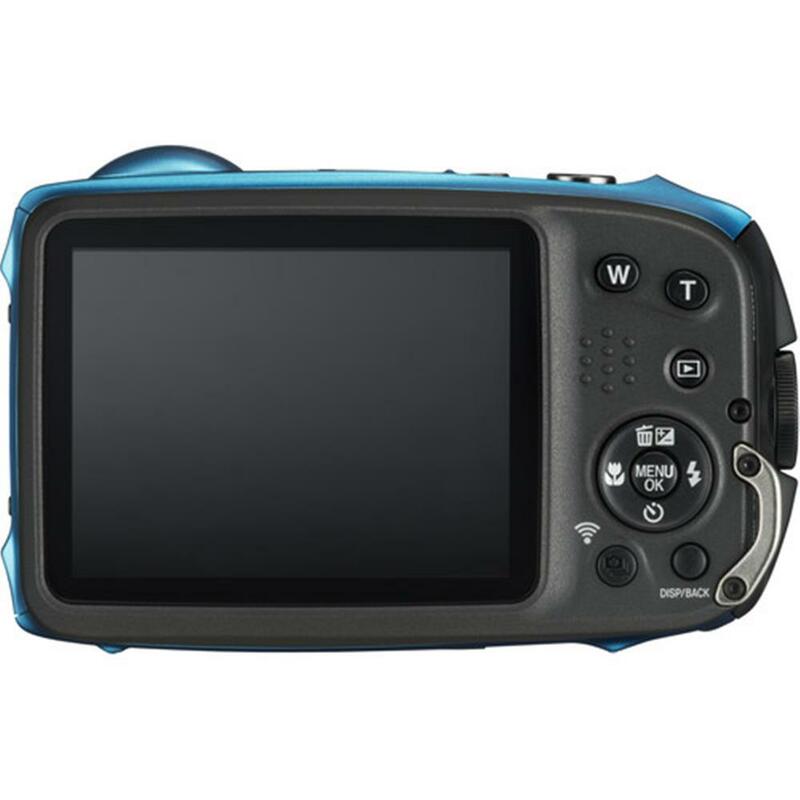 Ideal for every kind of adventure, whether outdoors, indoors or underwater, the FinePix XP130 is a tough, rugged camera that goes along on all your family's adventures. Waterproof to 65ft/20m, shockproof up to 5.8 ft./1.75m, freeze proof to 14 degrees F / -10 degrees C and sealed against dust or sand, this camera takes all the action you can dish out. The XP130 has a new feature allowing you to utilize a Bluetooth connection with your smartphone or tablet device to share images from your camera. The new XP130 is the perfect companion for your active life! Integrates four rugged protection features: waterproof to 65ft/20m, freezeproof to 14 degrees F/-10 degrees C, shockproof to withstand drops from up to 5.8ft/1.75m, and dustproof to keep out sand and other foreign particles. The camera is suitable for a variety of outdoor scenes. *Dustproof: IP6X, Waterproof: IPX8 (up to 20.0m, within 120 min. ), Anti-shock: Method; MIL-STD-810F-516.5 Fuji's standard; 1.75m. The FinePix XP130 features an internal 5x optical FUJINON zoom lens (28 - 140mm), which means that you can zoom right up to the action, even underwater. The technology continues to impress with the added application of Intelligent Digital Zoom. The FinePix XP130 combines its 5x optical zoom with Intelligent Digital Zoom which results in double the zoom range (10x) while offering optimum image processing to counteract the degradation that has traditionally occurred when digital zooms are used. 16.4 million pixels BSI-CMOS sensor makes even dark scenes bright for high-quality images. When using our cameras underwater, Fujifilm's years of experience ensure that colours are reproduced exactly as they are seen by the human eye. The battery life has improved by 15% against the conventional model. You can take as many as 240 images with a one time charge. 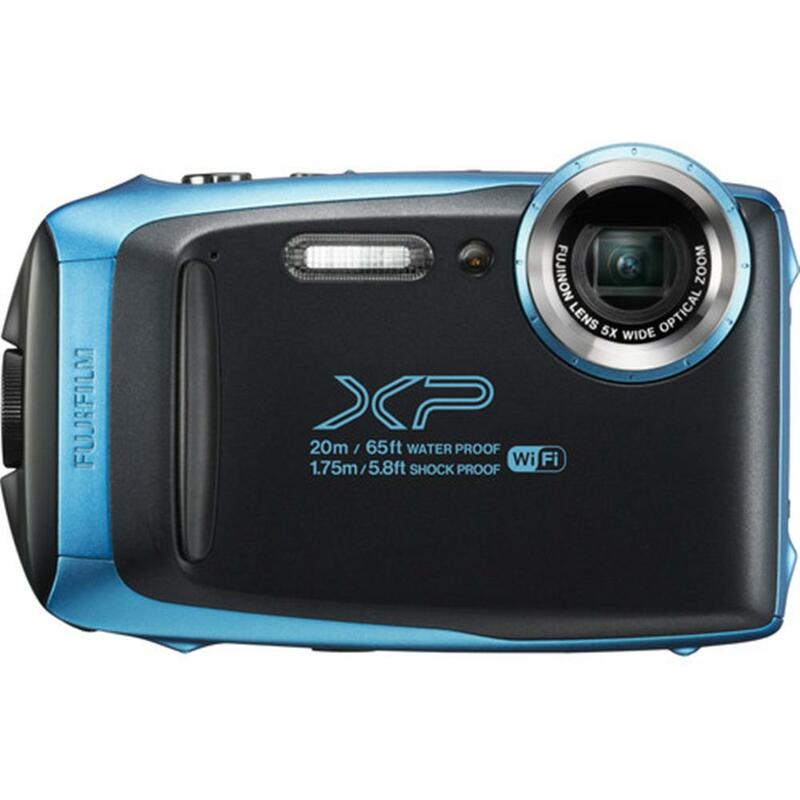 The FinePix XP130 offers the all Cinemagraph mode, producing still images with moving elements. Cinemagraph is a novel photographic approach that makes an image look somewhere between a still and video to strongly capture people's attention. Record video of up to 5 seconds, and specify which elements you want moving, to easily create Cinemagraph with the specified elements in motion. The contrast between moving elements and the rest of the image in standstill, accentuates your intended theme effectively. Interval Shooting mode lets you capture multiple images of a scene taken at set intervals. Capture a beautiful sunrise or clouds moving through the sky, and the "Time-Lapse Movie" feature will automatically turn these image sequences into a movie clip showing the passing of time. Simply select "Still image + Movie" for interval shooting settings. Of course, the still images from the conventional interval shooting can also be saved. The speed can be altered by selecting the video frame rate from 10, 30, and 60fps, with multiple video sizes including Full-HD. 7 types of advanced filters can also be used in movie recording. FUJIFILM Camera Application: Install this Fujifilm app to enjoy photos on smartphone, tablet devices or PC. Select "Motion Panorama 360" mode, press the shutter button and sweep the camera to pan the scene. The FinePix XP130 cleverly produces a stunning 360 degree panorama shot, effortlessly and automatically!